The Cockburn Town waterfront is part of the Columbus Landfall National Park. The best beaches and dive sites of Grand Turk are found in this protected area, including Cockburn Town Beach, Governor’s Beach and the Cruise Center Beach. The Columbus Landfall National Park includes the entire west coast of Grand Turk. 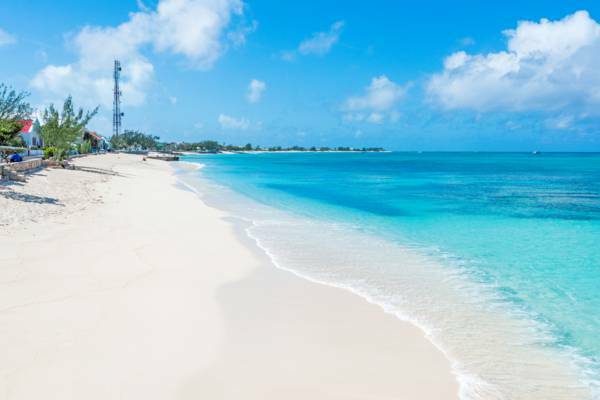 The Columbus Landfall National Park (NP3) is the largest protected area on Grand Turk, and consists of the entirety of the island’s west coast beaches to the high tide mark, the west coast barrier reef, and the ocean between them. 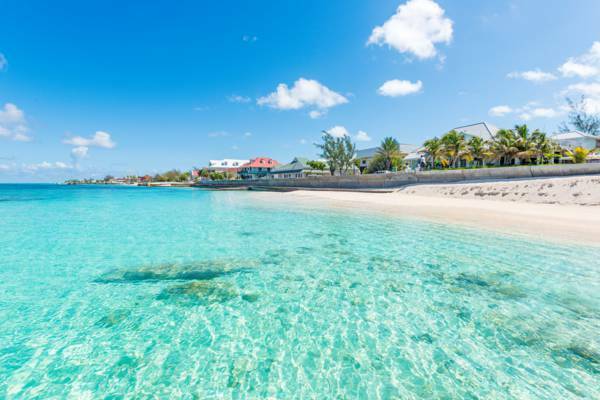 Included in the national park are many of the best beaches on Grand Turk, including Governor's Beach, Cockburn Town Beach, the Cruise Center Beach (SunRay Beach), Pillory Beach, and English Point. 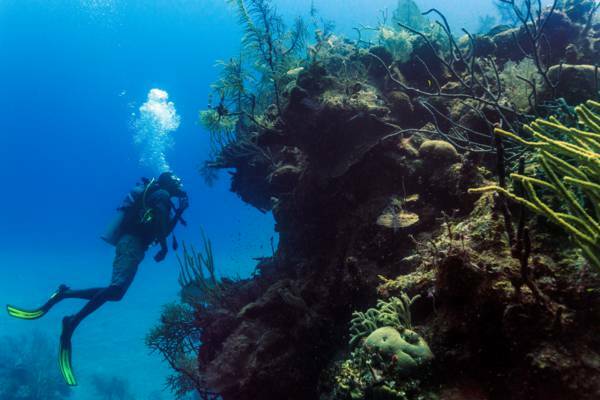 The national park also protects and includes more than two dozen scuba dive sites. Several of the country’s top wall sites are here, where the depth abruptly drops from about 50 feet (15m) into the thousands. The total area of the Columbus Landfall National Park is 1280 acres (518 hectares). Columbus Landfall National Park and Cockburn Town. As the protected area’s name suggests, Christopher Columbus’s first landfall in the Americas may have been at Grand Turk. Three islands in the Antilles are commonly thought to be first point of landfall: Grand Turk, and San Salvador (formerly Watlings Island) and Samana Cay in the Bahamas. The Atlantic North Equatorial Current and the logs of the historic voyage support the case for each possibility. Much of the landfall theories are based off of Columbus’s limited description of a very flat, bean-shaped island with very green trees and a central pond or lagoon. All of the candidate islands at least loosely match the record, not least of which Grand Turk, especially considering that before the development of the salt industry salinas, the inland ponds on the island likely supported dense mangrove forests, exhibiting vibrant green leaves. Columbus’s account shows that the Taino aborigine’s name for the island of first landfall was Guanahani. Columbus referred to the island as San Salvador. Diving on the barrier reef at English Point. Three non-commercial recreational fishing zones are within the Columbus Landfall National Park. Only recreational fishing from shore, piers or jetties is permitted, using light tackle and line with a break weight of 30 pounds or less. Detailed fishing zone information is limited, yet one area identified as a recreational shore fishing zone begins at about the mid-way point of Duke Street in Cockburn Town, and continues north, including the coast off of Front Street, to the point where Pillory Beach begins. As in any protected area in the Turks and Caicos, littering, and the removal of any natural object or historical artefact is illegal. Open fires, and playing loud music to the discomfort of others is also prohibited. Last reviewed by an editor on 7 June 2017.